Mozambique is moving closer to realizing its LNG development ambitions. Last month, the government signed contracts with Italian energy firm ENI and US oil and natural gas producer Anadarko Petroleum to build two separate LNG terminals in the country. Both terminals will be built in Cabo Delgado province near recent gas discoveries that are not only bringing in much needed foreign direct investment (FDI), revolutionizing the country’s economy, but also potentially turning Mozambique into a major global LNG power house. 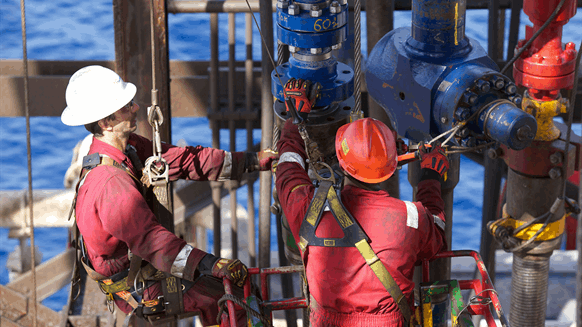 The two energy companies reached a joint agreement in 2015 that stipulates they will both develop adjacent offshore gas fields in Mozambique's Rovuna Basin in an effort to tap the country’s massive natural gas reserves. In 2013, Eni discovered natural gas in Area 4 (Mamba complex and the Coral site), with estimated recoverable gas resources of more than 75 trillion cubic feet (Tcf). Meanwhile, Anadarko made several natural gas discoveries in Area 1 offshore Mozambique, also around 75 Tcf of recoverable natural gas. Mozambique’s total natural gas reserves now rival African’s top gas reserve holders Nigeria and Algeria. As of late 2016, Nigeria held 186.6 Tcf of total proved gas reserves, according to BP Statistical Review of World Energy 2017, while Algeria held 159.1 Tcf of proved natural gas reserves. Though Mozambique has signed agreements for two new LNG terminals, market and contractual risks as well as potential above-ground problems present difficulties. Since global LNG markets will be oversupplied until at least 2020-2021, possibly longer, Mozambique’s LNG projects, particularly Anadarko’s onshore plant, could have problems securing long-term off take agreements needed to reach the all-important final investment decision. Moreover, by the start of the next decade, even more supply, particularly from five U.S.-based LNG projects (with numerous other projects under review), will be hitting the market, likely prolonging the supply overhang even longer. Above-ground risks also remain for both of Mozambique’s LNG projects, including political/economic and security-related risks, Roderick Bruce, principal research analyst (Africa) of, Oil & Gas Risk at IHS Markit, told Rigzone. There are also other opportunities for Mozambique to consider as it develops its gas reserves, including making gas available for not only LNG export but also for power generation both within Mozambique and neighboring countries. According to the U.S. Energy Information Administration’s most recent analysis of Mozambique’s energy sector, the Mozambican government has been considering a substantial gas pipeline proposal. Though the first company interested in the project, South African independent oil and gas producer SacOil Holdings, has withdrawn support, officials in both governments are reportedly still trying to push the project forward. The proposal includes constructing a pipeline from Mozambique’s Rovuma Basin to Gauteng, South Africa to deliver gas to key towns and settlements in Mozambique along the pipeline route before delivering the gas to South Africa. Early estimates for the cost of the pipeline have been placed at $6 billion, though many analysts consider this figure too low considering likely cost overruns.